Gain in-depth insight in focused, full-day Summits and Tutorials covering a comprehensive range of game development disciplines. Learn from experts and meet innovative, talented game developers with shared interests. Get an inside look at key architectures in successful games. 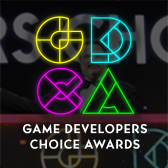 Join top programmers for conversations, debates, and rants on how to move game AI forward. Learn more. Learn cutting edge strategies to inspire, build, and maintain user loyalty and enthusiasm through the ups and downs of community opinion and adoption.strategies. Learn more. 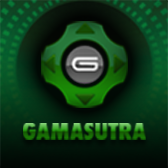 Discover the most innovative and exciting ideas in game education. Learn new experimental approaches and best practices to bring back to your classrooms. Learn more. Learn about interactive narrative in all forms, including AAA blockbusters, indie games, mobile, and social projects from theory to practical case studies. Learn more. Learn the nuts and bolts of great game design and successful business strategies for games on mobile platforms, including iOS, Android, and Amazon. Learn more. 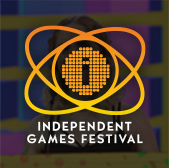 Hear from the best and brightest indie game creators representing diverse voices, experiences and perspectives, including many IGF finalists and winners. Learn more. Learn UX design and strategy best practices to improve overall game quality and increase the likelihood that your game will create and sustain engagement. Learn more.